Plymothian Transit: So how did I do? The swoops livery will reign supreme and will become the dominant livery in the fleet by the end of the year. Dare I suggest there may be one or two variations by the end of the year too? If I am scoring myself I think this is half a point. There are plenty of buses in the new livery but its certainly not dominant yet. As for the variations well maybe not swoops but the new Flash liveries certainly count. New buses: We will be seeing new buses for Citybus this year. Even better than that we will be seeing new double deckers for Citybus for the first time for years! This is not really a prediction as it has been confirmed that new DDs are on their way, we just dont know for sure what they will be yet. Being Go Ahead it will be either Volvo / Wright or ADL Enviro 400s. Its not yet known if this is in place of the 10 Volvo / Wright single deckers which were on order for this year. My prediction is that it is! 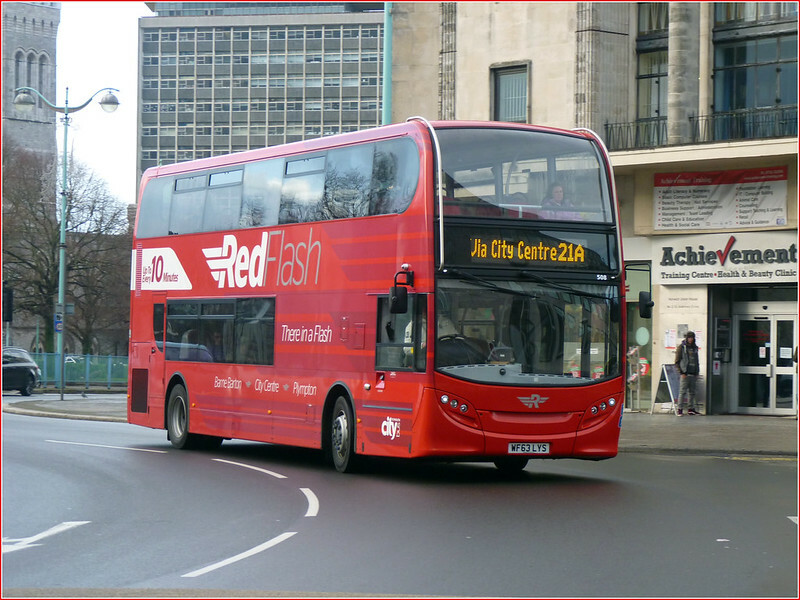 Yep I was right – plenty of new DDs for Citybus and they were in place of the previously expected Volvo/ Wright single decker's. More double deckers to join the fleet – as well as the new ones there are to be another 8 “nearly new” double deckers joining the fleet. No idea as to what these will be or indeed where they will be coming from. Yep – plenty of extra double deckers joined the fleet, although quite a few have yet to enter service. The phrase “nearly new” was pushing it a bit though! Route branding. I dont think that there will be any major route branding scheme as such but I can see more buses receiving promotional lettering for their routes during the coming year. I am not aware of anything planned at the moment but the new boss is ex Stagecoach Devon who were pretty keen on self promotion on their buses. Whoops! I couldnt be more wrong on this one. The Red and Blue Flash buses have brought Citybus well and truly into the route branding fraternity. Buses out: I know this has been a feature of my predictions for a few years now but surely the Student Link Volvos have to go at some stage soon. Their high capacity is saving them at the moment but these buses are well past their best and not in keeping with the image that Citybus are trying to project. Its clearly not worth spending money repainting them so I am sure they will go this year. As much as I like the the older Volvos as an enthusiast, its getting embarrassing to see them in normal service. (A bit like the good old VRTs with Western National – loved them but many of them were in shocking condition at the end!). Yep – the Student Link fleet have now finally gone. Routes: We will probably continue to see the network evolve over the coming year as the company looks to build rather than cutback. More cross city routes, which I guess will be marketed as such in a much clearer way rather than just joined in the city centre. If the company can get the buses I can see more out of town routes springing up. The Ivybridge service will continue, possibly expanding as First cut back their Ivybridge routes? I think I did well on this one too. Cross City was very much the theme within Plymouth and they have indeed been properly joined in a couple of cases. They did get the buses and they have expanded out of Plymouth. Ivybridge have continued as before, no expansion yet as First are still holding on there. Citycoach – there will be continued investment with one or two new (or nearly new) coaches joining the fleet to replace older coaches. This is more difficult. 6 months ago I would have confidently predicted that First would sell up and move out of Plymouth. 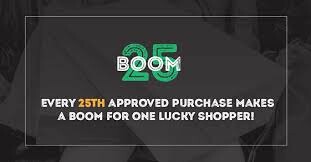 I am still convinced that they would indeed sell if the opportunity arose but I am less than convinced that there is a buyer out there that would want to take on Go Ahead. I dont think that Stagecoach will move in. It is clear that First would have liked to have made more disposals across the group by now than they had managed so far. The knock on effect of the North Devon decision still rumbles on? I am duty bound to make a prediction here so … I think that First will remain in Plymouth. I was right on this one. First did actually hit their disposal target with the sale of their London operations. They are still here and seemingly wanting to hang around. Having said that it wont be a big priority within the Southern region so any incoming buses will be transfers from within the group. I predict that the older K reg Olympians will go during the year, but a mixture of more Tridents and possibly newer Olympians will arrive. I think I get half a point for predictions no new buses at least. We still have K reg Olympians around, just. Olympians seem to come and go from within the Westcountry area. No extra Tridents either with quite a few buses leaving for Somerset and elsewhere. Repaints: We will see the new First livery being rolled out slowly across the fleet. 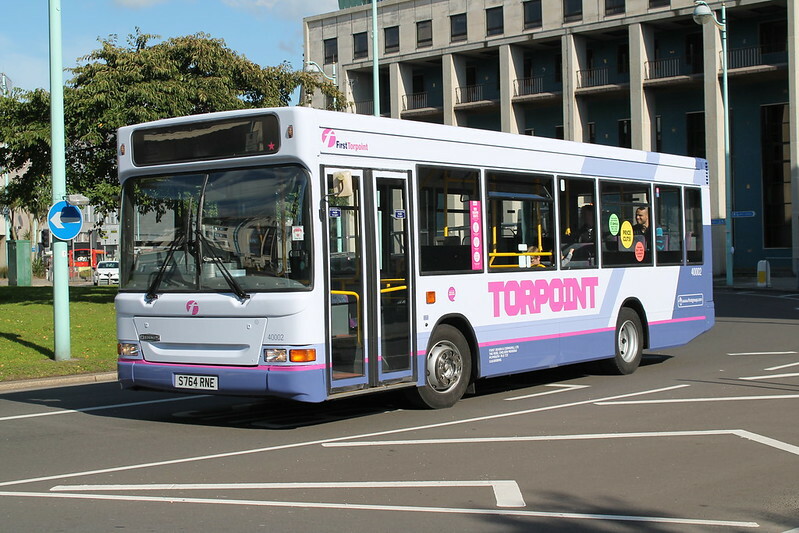 I still think we will see the Torpoint Tridents repainted this year – but will probably receive the new group livery rather than anything specific to Torpoint. I think we will finally see some form of local fleetname, probably First Devon rather than Plymouth. I would like to see more branding added to the Park & Ride fleet but I predict that they will just retain SHUTTLE names. I hope I am wrong! Routes. The 88 will be cut back, but they wont pull out of Ivybridge completely. We may see more action on the Tavistock services with maybe a greater push to promote the service in face of competition with Jacketts? I don't see any major changes to Plymouth services although there may be a few reductions in frequency on some routes. This is an interesting one! The 88 was cut back and First are still hanging on in Ivybridge and Tavistock services are being promoted more heavily with proper TAVISTOCK branding – but that's nothing to do wtih Jacketts who did not last very long at all. There were a few changes in Plymouth though along with quite a few reductions as I expected. I did not predict the new routes in competition with Citybus. I don't see much changing to be honest. The routes will see changes as the council dictates but overall the amount of work for Target will remain pretty much as it is now. Fleet wise I see more Darts arriving and maybe some Solos leaving? The purple livery will disappear in favour of white and green. Half a point I think. Target have lost a bit of work with a few routes going elsewhere under tender. Darts are in and a few Solos seem to have left. I think the purple still just about hangs on, but some of them are in white /green livery. Jacketts will start to see the new 85 service gain customers and will up the frequency to every hour fairly soon. That's when First will react! Couldnt be more wrong! It was a brave effort but they very quickly realised it was not going to work. Points to them for trying though! I can see a stronger year for them this year after the difficulties with Cornwall County Council cutbacks. There may well be more cutbacks in Cornwall but some routes will be improved. 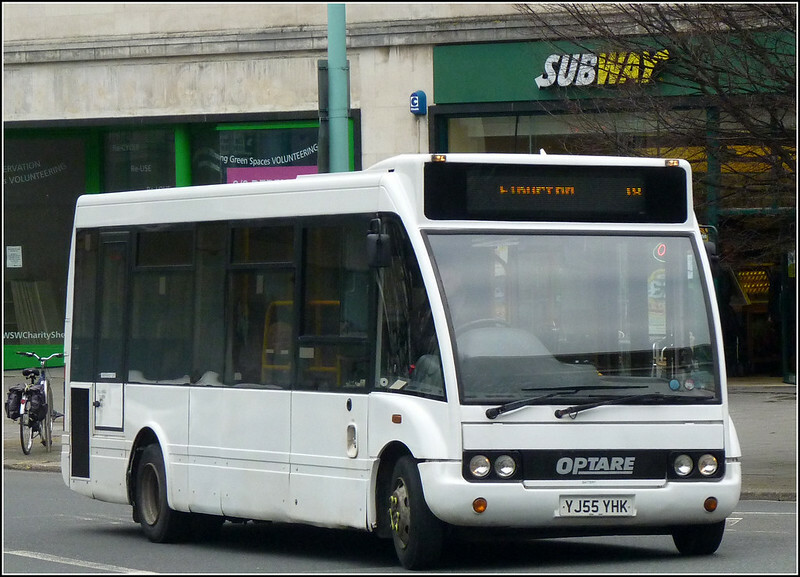 Plymouth may not see many changes as routes continue pretty much the same. Sadly wrong on this. No one could have foreseen the awful fire which has meant that WG certainly did not have a stronger year. Plymouth routes were pretty much left the same. Vehicle wise I am pretty sure we will see more investment in the fleet this year as the Mercedes Vario replacement restarts after a gap. I dont think that it will be just Solos. There have been suggestions that a new livery is on the cards too! Railway – more of the same. Fares up. lots of talk, not a lot of action. Talk about a new route bypassing Dawlish – it wont happen. More talk about reopening the Tavistock line – maybe – but not for years. Great Western. The franchise system will get going again during the year and a new franchise will be awarded during the year but wont actually start this year? I still think that First Group will retain it though. Plymouth Airport: Lots of talk and arguments about the future but it wont reopen. The city council are key the the debate but I dont think they really have the vision or expectation that the airport could reopen. Sad. Real Time Displays. I does indeed seem that we will finally see a new real time bus tracking system introduced in Plymouth which should see a much more reliable real time timetable display available at most bus stops. All buses in Plymouth should get the system and therefore be tracked properly. How many bus stops will actually get the new displays remains to be seen, but it should result in much better live tracking on mobile phone apps. Improvements are on the way, I just hope that this time they do match expectations and promises! Better systems are in place so the bus companies can track their buses better but passengers dont see any of that. On the stops I use at Derriford Hospital on bus stop has just displayed “Refer to timetables” for ages. It should be fairly easy to get to more events and take more photos this year as I did so little of this in 2012. I do now carry a camera with me most days so that should help once the days start to draw out. The simple aim for 2013 is to get 4 or 5 postings a week. I’d rather post better less often than go for daily posts when there is nothing to say! The blog / family balance is very different this year than it has been! I am seeing more comments than ever before and getting more info / photos/ suggestions than previously which is brilliant so I hope that this continues through 2013. I also hope to include more historical posts this year. Wrong on several counts. I managed a lot less photos last year and no trips out at all, not even managing Kingsbridge much to my disappointment. Thankfully many of you have been really great at sending in your photos and allowing me to use photos you have taken elsewhere. I am just about keeping up with 4 – 5 postings a week, but there have not been many historical posts as time has been limited. The big rise in the number of comments left has continued which has been great. Part two will be my predictions for 2014. I hesitate to promise them on any set day this week, but it will be this week! 93 Dartmouth - Withdrawn, replaced by new Stagecoach Gold route, new First 7 covering Elburton runs! Stagcoach Gold have all south devon routes in one! Also 1 or 2 new routes in Plymouth... This will be covered by resources saved following withdrawal of 4 and 93, and possibly 76 if they lose council funding. First will become a City operator except for Tavistock excursions.. with in the main lower fares than Citybus.